Sony come to market with a huge jump in design and technology with the XZ2. Previous designs have been a little on the square side, the new XZ2 now features a curvier design that makes it feel like a smartphone with style. 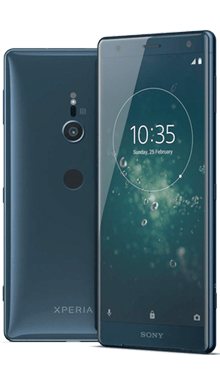 Select your desired options to find the best Sony Xperia XZ2 deals for you. Sony come to market with a huge jump in design and technology with the XZ2. Previous designs have been a little on the square side, Which Sony mobile phone fans do like but the new XZ2 now features a curvier design that makes it feel like a smartphone with style. The new stunning design has made the Sony XZ2 comparable to other leading handsets like the Apple iPhone Xand Samsung Galaxy S9. The XZ2 fits nicely into your hand and pocket and the sleek design makes you want to leave a case off the showcase the vibrant colours. As with other leading handsets the front and back of the handset are now built with Gorilla Glass 5,giving the phone a sturdy feel. It also has an anti-twist aluminium frame, this is without a doubt a strong mobile phone and the best design Sony have come to market with since launching their mobile division. Sony have opted to keep the bezel prominent which is against the grain in comparison to other leading smartphones. Sony have brought the colour around to the front of the handset which really does make the phone look very classy, but it loses a small amount of space that could have been used for extra screen size. Sony have moved the fingerprint scanner which was poorly placed on the XZ1 at the side of the hand,instead they have followed Samsung and put the scanner at the back of the phone. Overall the XZ2 is a great update from Sony’s previous Flagship phones and could potentially be a contender for phone of the year in 2018. 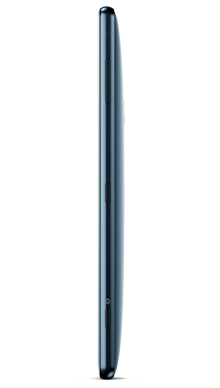 The Sony XZ2 comes with an 18:9 screen ratio which has helped the Sony engineers bring the XZ2 to market with a 5.7-inch using a narrower body in comparison to their previous leading handsets. The trend in larger screen models had to be followed with the likes of the iPhone X, S9 and P20 Pro all coming to market with 5.5-inch plus screens. It couldn’t be a Sony mobile without having an amazing resolution, the XZ2 comes to market with Full HD+ resolution and an amazing 2160 x 1440-pixel display.Other leading handsets do offer great displays but the XZ2 is like having a Sony Bravia tv screen set into a mobile phone. This new display helps Netflix and Amazon prime subscribers take advantage of a technological leading handset at a lower price than Apple and Samsung. Sony have used its X-reality from mobile engine and there is a clear lift in quality when watching any film or TV. Sony have already been helping lead the way for mobile phone cameras and video, this hasn’t changed with the XZ2. Sony have kept the 19MP rear camera and 5MP front camera (selfie camera). On this handset they have also included some very cool new features and one of the is a first of its kind. You can use a mobile phone to record video in 4K HDR! Our hands-on test proved this is probably the best video recording handset on the market up to May 2018. The colours are amazing, and it handled poorly lit rooms with ease. There is so much more detail to outlines, colours and background images. It really is like watching live TV in HD when recording your own video. Another new feature is the XZ2’s ability to capture slow-mo video in HD, and this is done at 960fps. This feature levelled the playing field with Samsung’s S9 meaning its another tick in the box as a leading smartphone. Sony have also worked on their 3D creator. This app allows you to make a replica of your face using the selfie camera and it’s a great rebound to combat the S9’s personal Emoji building feature. You can now share this directly via Facebook.It may seem like a bit of a useless feature but its actually a very fun app.Sony’s hope is you will be able to make an avatar of yourself that does resemble you. Something other leading mobile phones have struggled to develop so far. Sony have been making great audio devices for years so it’s no surprise their leading handset would feature an amazing sound quality that’s a large rival for Apple and Samsung. Sony have including their LDAC technology which has improved the wireless performance sound, this also works with their compatible headphones. Sony have followed the crowd and removed the 3.5mm headphone jack but you can still listen to your music via a USB-C set of headphones. For the big Sony fan, you can buy some quality wireless headphones that produce amazing sound with noise cancelling technology. Sony have moved speaker technology into another world and the XZ2 is by far the loudest phone on the market. The handset also has S-Force Front Surround Sound technology for a much better performance when watching movies or streaming Netflix. Sony have opted for the Snapdragon 845 processor which also features in multiple phones so far in 2018. This has created a very fast device coupled with 4GB of Ram.It flicks between operations with ease and makes a great business phone for using spreadsheets and word documents on the move. 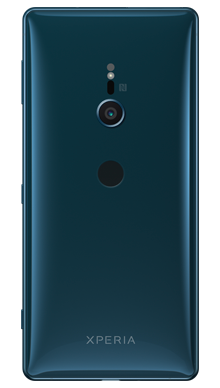 Sony have released the XZ2 with 64GB of storage, but you also have the ability to boost the handsets memory using the microSD card slot. The 3180mAH battery is more than enough to keep the XZ2 live all day but if you are planning on making movies all day long you will need your charger with you! The Gorilla Glass 5 on the back makes Qi wireless charging simple so buying a wireless charging pad should be on the top of your wish list if you want to charge without having wires hanging about. It comes with the usual dust proof and waterproofing IP65/68 certification, so you can drop the phone underwater briefly but its not designed to take diving videos with the 4K video camera! Sony have opted to make the XZ2 a PlayStation 4 (and probably (PlayStation 5)controller. This comes with Sony’s Dynamic Vibration System making it feel like a genuine controller. It’s a great phone for all walks of life but it really stands out that gamers will be flocking to the Sony XZ2 until the next Sony handset is released. The XZ2 impresses from so many angles. The camera and recording capability is amazing, audio blows away other leading phones,including the iPhone X and S9. The only drawback is Sony just don’t appear to be breaking into the mainstream market as quickly as possible with a device that outshines most handsets in the market. 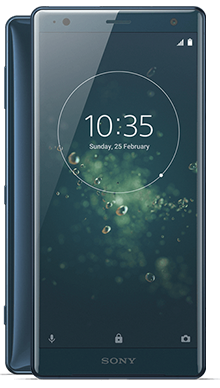 We have partnered with EE, Vodafone and Sony to bring you the best Sony Xperia XZ2 deals you can find in the market. If you are looking to buy a Vodafone XZ2 deal you can also get Sky Sports, Spotify and Now TV for 24 months which really works well with one of the best displays on the market. EE also have some great monthly plans on the XZ2, take advantage of free roaming,free Apple music or free BT sports for the first three months of your contract. 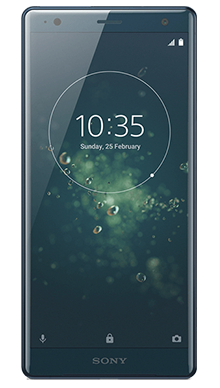 If you just want the handset without the long-term commitment you can buy the Sony Xperia XZ2 sim free here. Can’t find the XZ2 deal you want? Contact our team on 0333 900 133 and one of the customer service team can help find the perfect contract plan for you.